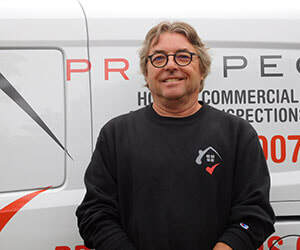 ProSpect Property Inspections was founded by Greg Davis, after deciding to retire as the owner of a successful landscape construction company, and 4th generation family business. His desire to embark on a new venture i.e. home inspection and to reinvent how a typical home inspection company is operated is evident in ProSpect Property Inspections. Although the reinvention was a simple one to some, to others, primarily other inspection companies, it was a profound solution. Greg is the founder, owner, and driving force behind ProSpect Property Inspection where he has performed over 2,500 property inspections. He holds a State of New Hampshire Home Inspectors license (#285) and is an ASHI Certified Inspector (#252431). Greg attended Manchester Community College in Manchester NH for his home inspection education certificate. However, Greg draws the majority of his home inspection knowledge from his four generation family background of general contracting. Greg has also been the owner of a successful landscape construction company that served the seacoast area for over a decade before he decided to pursue the home inspection trade. As a general contractor Greg built many new homes and performed many high end historical restorations on Federal and Victorian style homes and historic barns. Greg often gets called upon to evaluate historic homes and barns as he is widely considered an expert in these types of New England treasures. Greg is dedicated to changing the way home inspections are performed. Often you will hear Greg say that “ProSpect is a customer service driven company that does home inspections”. Greg’s drive, work ethic, commitment to excellence, and commitment to his customers is second to no other home inspection company. In his off time, (which is minimal) he enjoys spending time with his children and grandchild. Click on the ASHI logo to see Greg's Certification. Jon holds a State of New Hampshire Home Inspectors license (#225) and is an ASHI Certified Inspector (#259233) and is the General Operations Manager for ProSpect Property Inspections and has performed over 3,000 property inspections. Jon attended the Manchester Community College in Manchester, NH for his home inspection certificate. Jon’s background is extensive in the construstion trades and landscape construction trade. Jon is considered by many to be an expert in residential and commercial electrical, heating, and air conditioning systems and is very current in the latest technologies of mechanical systems and home automation systems. Jon’s home inspection experience is complimented by being the former Director of Buildings and Grounds, for 13 years, for the NH Police Standards and Training Council in Concord, NH. He then started as the Director of Facility Services for the NH Veterans Home in Tilton, NH in 2006, where he still works overseeing the day to day operations of the physical plant, a staff of 13, all life safety compliance of the facility, and capital projects. Jon has directly managed and overseen over $53 million dollars in capital projects for the State of New Hampshire. Jon is also a Chapter Board Member for the Northern New England Chapter of ASHI. In February of 2018 Jon was chosen and nominated by Governor Chris Sununu and confirmed by the Executive Council to serve on the State of New Hampshire Board of Home Inspectors. The State Board of Home Inspectors is the oversight and rulemaking authority for NH’s Licensed Home Inspector industry. CLICK HERE for information on the State Board. Jon has a very broad and extensive knowledge base to draw off and is dedicated to delivering outstanding customer service, professionalism, and first-class property inspections in a non-alarming manner. Jon particularly enjoys working with first-time home buyers and has conducted many 1 st time homebuyer seminars educating potential new homeowners on what to expect from a home inspection. Jon was very thorough and patient. He took time to explain what to look for and why. The information in the report was extremely helpful to know what needed attention to minimize the possibility of any unpleasant surprises, as well as things that I need not have to be concerned over. Jason holds a State of New Hampshire Home Inspectors license (#136) and is an ASHI Certified Inspector (#260871) and had been a professional home inspector even before the State of New Hampshire had licensing requirements for home inspectors. 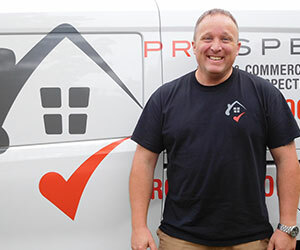 Having been a home inspector for more than 9 years, Jason has performed over 3,500 inspections for both commercial and residential properties combined. Along with being a licensed home inspector, Jason has also been a licensed real estate agent for the past 13 years. Jason is a veteran of the United States Army having served in Germany and Kuwait for 2.5 years. After his military service Jason was a Quality Control and Production Manager for 12 years. Jason is well known in the home inspection industry and is held in high regard for presenting information in a very clear, concise, and non-alarming manner. Jason prides himself on providing his clients with a comprehensive inspection report, that is very easy to read and understand, all while providing outstanding customer service. During his tenure as a home inspector Jason has inspected every style of home from brand new construction, multi-family, apartments, to Federal and Victorian style homes including barns and other historical New England treasures. Jason is a very experienced inspector that can quickly and thoroughly evaluate your property and ensure you are making a well-informed purchase decision with all the comfort and confidence you need. Click on the ASHI logo to see Jason's Certification. Troy holds a State of New Hampshire Home Inspectors license #454 and is an ASHI Certified Inspector. Troy has a business management degree from Franklin Pierce University in Rindge NH. Troy’s background professionally is in the retail auto industry. In his time away from that he has always been involved in woodworking, and construction. Troy has been buying and selling homes for over 30 years. He has remodeled structures, and overseen many dealership expansions, as well as built a working farm with barns and outbuildings from virgin forest. As recently as 2016 he purchased an abandoned lakeside property and renovated it into a quality year-round home. 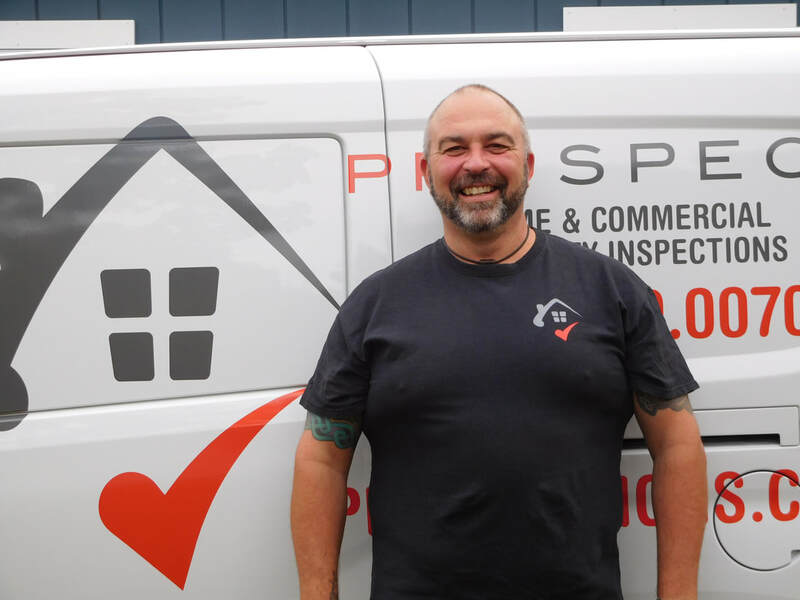 Troy has completed the extensive training needed to become a licensed home inspector, and brings his varied experience to the world of property inspection. When not being involved in everyone else’s homes, or transforming his own property, he spends his time with his wife, children and grandchildren. Click on the ASHI logo to see Troy's Certification. Troy we thank you for being thorough with our home inspection. Your personality patience and knowledge are above and beyond what we expected! The report is amazingly put together the pictures and explanations are awesome. Thank you so much! As you can clearly see, the team at ProSpect Property Inspections is more than qualified to not only meet your expectations, but to exceed them at every level. We are not raising the bar of home inspection; we are the bar of home inspection. Feel confident and have the peace of mind that when you hire us to perform your property inspection that we will be a company that you will refer to both your family and friends. Your business is important to us, but more than that your level of confidence, trust, and satisfaction is how we gauge and measure our success. Don’t hesitate, contact us today. You will be glad you did and we look forward to meeting you at your new home.